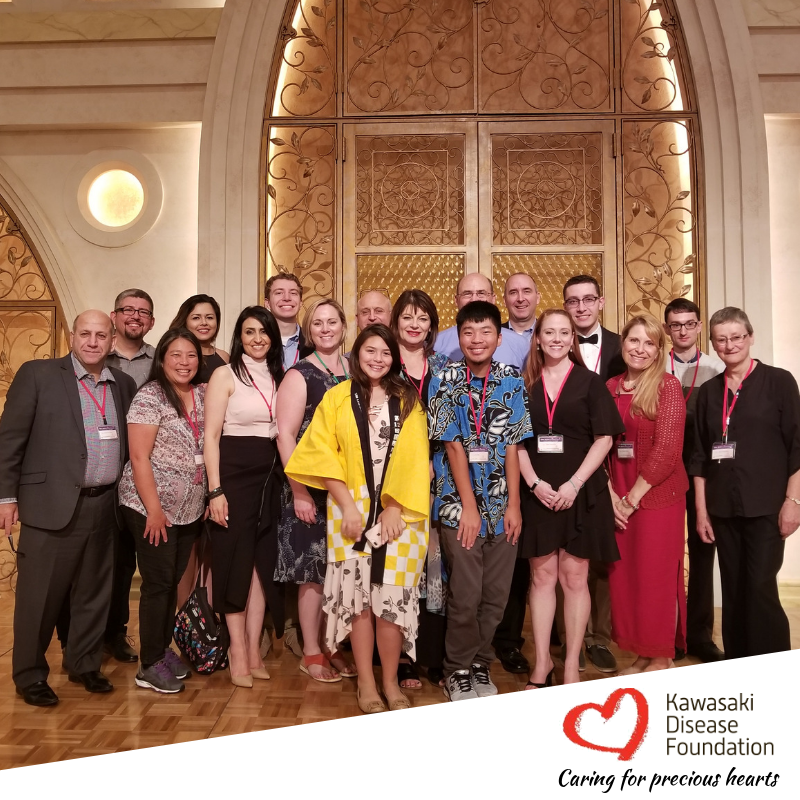 This past June 2018, 485 participants from 32 countries gathered in Yokohama, Japan for the 12th International Kawasaki Disease Symposium (IKDS). The 3 ½ day conference covered Kawasaki disease (KD) issues which included diagnosis and treatment, American Heart Association guidelines, KD epidemiology, genetics, pathology, pathogenesis, etiology, immunology, and socio-economic and psychosocial issues, among other topics. Since the first IKDS, held in Hawaii in 1984, several advancements in the treatment of KD have occurred, specifically when suppressing the onset of coronary artery aneurysms. These improvements are partly a result of the many exchanges between researchers at such international gatherings, said Dr. Tomisaku Kawasaki. 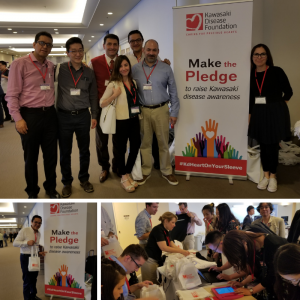 The theme of the event was “progress and harmony in Kawasaki disease” which highlighted the goals of clinicians, researchers, and epidemiologists at the event to understand the cause of KD, develop fundamental treatment strategies based on those causes, establish methods for preventing KD, and reduce the occurrence of KD. 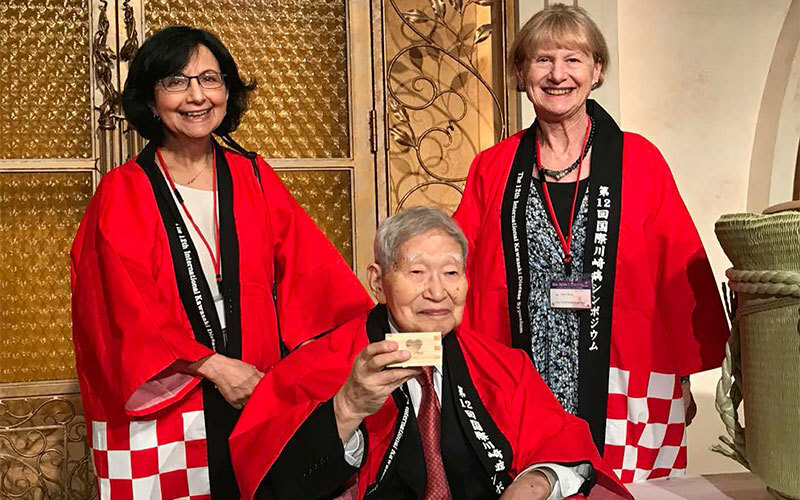 “I believe that intensive discussions, sharing ideas, and informational exchanges will do much to relieve the great number of problems that Kawasaki disease causes,” explained Dr. Kawasaki as he shared that he was overjoyed to have so many excellent researchers from all over the world at the 12th IKDS. KD parents and patients from the United States, Australia, and Japan were also present at IKDS. During the parent symposium session, representatives from the KD Foundation Australia, the KD Foundation United States, and the Japanese Parents Association spoke about the diagnosis and treatment of KD. The main takeaway from the parent session was that misdiagnosis or delayed diagnosis of KD continues to be an issue in the United States. The KD Foundation, furthermore, distributed tote bags filled with KD symptoms posters, a t-shirt and KD awareness bandanas to medical professionals from Argentina, Australia, Canada, China, Colombia, India, Italy, Japan, Malaysia, Mexico, Mongolia, Netherlands, South Korea, Taiwan, and the United States. The KD awareness materials were passed out as part of the KDF’s “Make the Pledge” campaign which encouraged medical professionals to raise KD awareness on the upcoming National Kawasaki Disease Awareness Day, January 26th by handing out the awareness items to individuals in the medical field who are unaware of KD. • In Japan, a dip in the number of KD cases in 2016 occurred but over 15,000 new cases per year with a steadily rising baseline were recorded. • In the United States, the number of KD cases per year does not appear to be rising. • In India, the increase in the number of KD cases per year is due to better recognition of KD. • Researchers discussed the emerging idea that there may be more than one trigger for KD with a final common pathway. • A 30-center survey in the United States showed tremendous practice variations in the treatment of KD. • Similarly, international practices in the use of intravenous immunoglobulin, secondary practices, and anticoagulation vary tremendously by country, type of physician and economic circumstances. • KD patients lost to follow up in the long-term management of KD is a huge problem in Japan and the United States. If you missed the 12th IKDS, you could view a recap of the event by clicking here, and you can plan to attend the 13th IKDS which will be held in Autumn 2021 in Tokyo, Japan. Left to right: Dr. Jane Newburger, Dr. Tomisaku Kawasaki, and Dr. Jane Burns, at the 12th International Disease Symposium in Yokohama, Japan.